Designed by Arne Jacobsen, the aptly named AJ lamps were designed in 1960 for the SAS Royal Hotel in Copenhagen, Denmark. 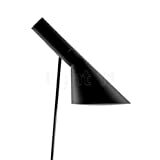 Each lamp in the AJ series is elegant and eye-catching, while maintaining a refined simplicity in its silhouette. The AJ Floor Lamp features a sleek shade that emits directed light. The adjustable shade can be angled to distribute light where it is most needed, making it an excellent choice for a reading corner in a den or a home office. The interior of the shade is painted white, ensuring that the emitted light will be soft, while maintaining focus. Available in several colored finishes from saturated hues to neutral tones, the AJ Floor Lamp will complement a variety of interiors. 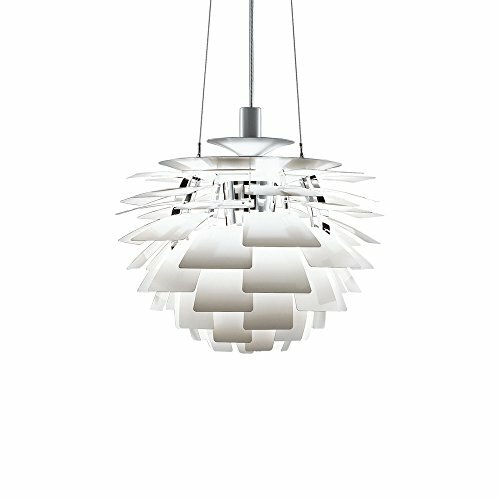 The PH 3 1/2-2 1/2 Pendant is reborn in the original dimensions and materials as the original classic. The hand blown opal glass, bright on the outside and sandblasted on the inside, emanates a soft, diffuse glow. The fixture head is chrome plated brass. 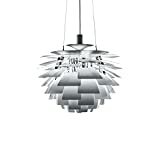 The Artichoke Pendant Light was designed in 1958 by Poul Henningsen for the Langelinie Pavillonen restaurant in Copenhagen, Denmark, where it still hangs. Considered an iconic design of modern lighting, the Artichoke pendant is a sculptural fixture that features 72 precisely positioned leaves in 12 rows. These leaves, which call to the shape of an artichoke, illuminate the fixture and give off diffused light in a distinctive pattern. 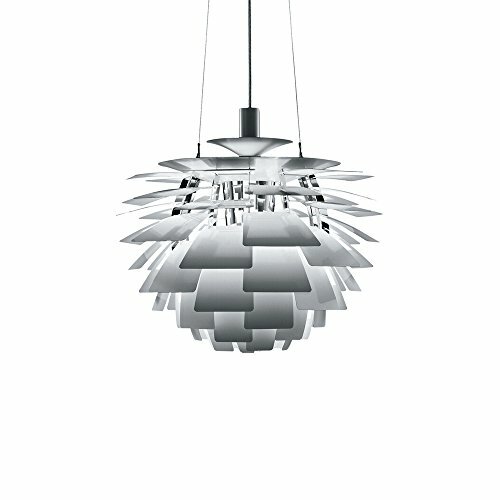 The Artichoke Pendant provides decorative, comfortable lighting that is ideal for a dining room or restaurant space. To ensure that each pendant is created to the same quality of the original, most of the production process is completed by hand. 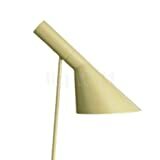 Designed by Arne Jacobsen, the aptly named AJ lamps were designed in 1960 for the SAS Royal Hotel in Copenhagen, Denmark. 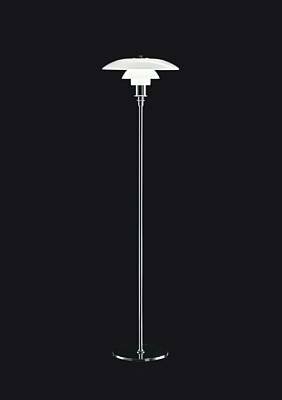 Each lamp in the AJ series is elegant and eye-catching, while maintaining a refined simplicity in its silhouette. 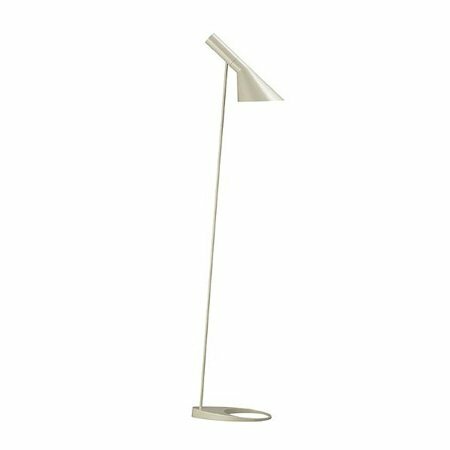 The AJ Wall Lamp features a sleek shade that emits directed light. 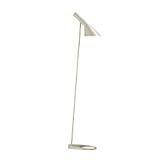 The adjustable shade can be angled to distribute light where it is most needed, making it an excellent choice for a reading light in a bedroom. The interior of the shade is painted white, ensuring that the emitted light will be soft, while maintaining focus. 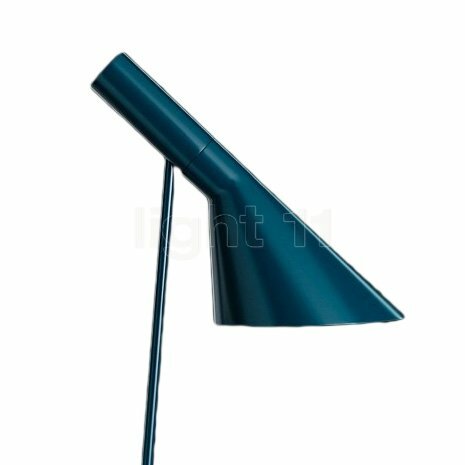 Available in several colored finishes from saturated hues to neutral tones, the AJ Wall Lamp will complement a variety of interiors. The PH 50 Pendant was released in 2008 as a high-gloss version of the PH 5 pendant that was originally designed in 1958, to celebrate the 50th anniversary of the milestone pendant lamp. 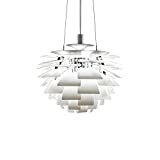 Designed by Poul Henningsen, the PH 5 was designed in response to the continuous change in size and shape of incandescent bulbs to provide a fixture that could be used with many light sources. Providing 100% glare-free light, the pendant is designed with a reflective three-shade system that directs the majority of light downward, while illuminating itself with lateral light. 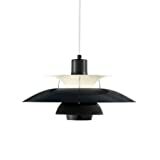 The PH 50 Pendant is available in a variety of colors, making it a versatile shade for modern interiors, from neutral dining rooms to colorful dens.